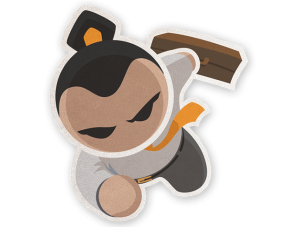 NoSQL databases (if plural is permissible through versioning) company Basho is in update mode for its Riak TS product, which is now freely available on an open source basis — for free. Basho: you don’t like-a my time series data for IoT applications — I puncha your face ok? Basho Riak TS (time series) version 1.3 arrives now claiming to be the only enterprise-grade NoSQL database optimised for Internet of Things (IoT). The open source version enables developers to download the software for free and use it in production as well as make contributions to the code and develop applications around Riak TS. NOTE: A time series database (TSDB) is a software system that is optimised for handling time series data, arrays of numbers indexed by time (a datetime or a datetime range). What makes an IoT optimised database? What makes a database optimised for the Internet of Things? Part of the answer there lies in a) the time series capabilities of Riak and b) the fact that version 1.3 expands support for SQL commands, enhances API support and provides support for shell commands. Riak TS Enterprise 1.3 also includes Multi-Cluster Replication. Increasingly, IoT is generating time series data — data marked with a timestamp — from a variety of sources, such as sensors. The sheer volume of time series data these sources generates requires databases that can efficiently and reliably store and query time series data. Basho claims that Riak TS delivers on this need and allows both open source and commercial customers to perform the associated queries and transactions on time series data, while maintaining high availability and scale.